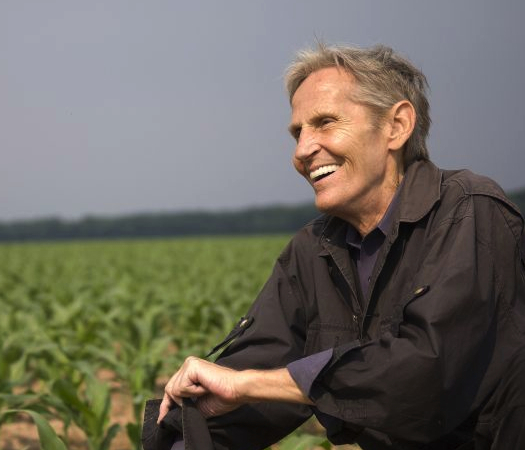 Today Levon Helm died. Some of my friends have been Twittering about it. Multiple times. This is big news. He was the integral member of The Band, the only true American citizen in it, and the only one whose latter-day career hewed most closely to their greatness. The Band were a huge deal; their recorded legacy will remain a huge deal for anyone in the 21st century looking to get a handle on what made the popular music of the 20th century so great. To my mind, outside of Fugazi, the were the quintissential American band — even though 4/5ths of the Band were Canadian! Maybe in a post-Arcade Fire, post-Joni Mitchell, post-Neil Young universe we should just admit we have more in common with Canadians than we’d like to admit, and start thinking in terms of great North American music rather than holding tight to some uniquely American tradition. Almost exactly 10 years ago, I wrote this tribute to The Band for the LA Weekly. Though its flights of poesy are more than I’d indulge in circa now, I stand by every word & now feels like a good moment to dust it off. We want things to fit, like square pegs in square holes. But there are no square holes. There are stones in shoes, bumps in roads, clouds in skies. It rains and pours, and each drop triggers a drum, a fretless bass, a guitar hero, a fiddle, a tuba, a brass band, otherworldly organs, three singers so earnest they sound as if they’re pleading for their lives. It‘s like a Disneyland treatment of Deliverance — three hicks singing “It’s a small world after all” in such a way that you can‘t tell when one member of the trio lets off and the next one starts. In The Band’s music, it is a small world: You hear bar-band rock & roll steeped in crotchety American folksongs, but you also hear authentic soul — voices joining, musicians who just plain care. It‘s the best beer-commercial music of all time. Last year, Capitol reissued The Band’s eight albums for the label. The Last Waltz, a 1978 album and film documenting their star-studded farewell concert, has just been re-released. When The Band‘s debut, Music From Big Pink, emerged late in 1968, it was already clear they had invented something unique. It was a vibe record in the guise of rock music — a warm-sounding pastiche in which “feel” and songwriting were taken equally into account. At the same time, they are one of the most potent precursors of Americana, a broadly defined catch-all genre coming into prominence today. Only now does The Band’s music make sense, so let‘s explore their sound. …to Robbie Robertson, both the star and the silent one. Eventually he went Hollywood with his publishing money and cinema dreams. (In the ‘80s he concentrated on soundtracks; to quote a press release, he currently works at DreamWorks as a “creative plenipotentiary.”) Robertson was constantly discovering another piece of his multifaceted heritage so he could write songs about it. “Smoke Signals” deals with his Native American blood. “Rag & Bone” was inspired by his Jewish relatives from the Old Country, such as his grandfather. To quote Robbie: “He was an intellectual, but he made his living in Toronto as a rag man.” Robertson could have been describing himself. An inimitable and prolific songwriter, Robertson was also a high school dropout who often distanced himself from music, perhaps bothered by the lack of credit musicians are given for their minds. In interviews Robertson comes off as a guy uncomfortable with his own unique genius, reminiscent of the kind of grown men who’ve learned all they know from throwing the I Ching, watching arty movies and reading Aldous Huxley books. He speaks glowingly of the religio-psychedelic writings of Carlos Castaneda and filmmakers such as Francois Truffaut, Akira Kurosawa and Luis Buñuel. Martin Scorsese, the young director in charge of The Last Waltz, became a close friend. The Band were a bunch of Canadian hayseeds (save for Helm, a Southern hayseed). They drifted together in Toronto under the aegis of an obscure rockabilly performer, Ronnie Hawkins. Joining one by one, they were all in his band, the Hawks, as of 1961, but they left him in 1964. (Other names they recorded under or considered include the Canadian Squires, the Honkies and the Crackers.) Used to playing fraternity parties and dark, bloody bars, they were plucked from obscurity in the fall of 1965 when Bob Dylan chose them to back him on his electric folk-rock world tour. (Again, save for Helm: Sick of the booing that greeted his first few dates with Dylan, he quit and moved back to Arkansas for the span of the tour.) Documented on innumerable bootlegs and 1998‘s Live 1966, the Hawks were electric Dylan’s wild mercury sound. The tour‘s final show was in May 1966; Dylan’s legendary motorcycle accident happened in July. To recover, he retreated to Woodstock, and The Band joined him. There they recorded collaborative demos (which later emerged as The Basement Tapes) off and on throughout 1967 at Big Pink, the group‘s gathering place. After helping Dylan define rock on tour, they now explored folk music’s outer edges, drawing out new shapes and sounds, weaving in strands of ‘50s and ’60s R&B. When their debut came out in 1968, they faced a barren field. If only by virtue of others‘ exhaustion, the group had beaten out the competition. The Beatles had retired from live performance in August 1966; mired in fame, the Rolling Stones were in the midst of a two-year concert hiatus; Dylan would perform in public only five times over the following six and a half years, three of those backed by or accompanying The Band. The Band were the last great rock band before the music began to eat itself and mock its own conventions, before the Ramones and Led Zeppelin, before the genre needed prefixes such as “punk” or “classic.” Dylan had combined folk and rock to create an electrified amalgam — savage and hot. The Band cooled off that molten sound and conceived of a new music combining all that we had heard before. Dylan turned poetry into pop music; The Band found the poetry inherent in pop music’s sound. On their albums you hear pure rock spouting out in a howl as loud and clear as that which Robert Johnson gave to the blues. Explaining my affection for The Band is like describing the rain or answering the dumbest of questions: What is love like? Is the heart a vessel or a bell? Is it a thing that starts out empty and needs to be filled, or a sympathetic tone you hit by chance? Insofar as that‘s concerned, The Band are of two minds. Love is a vessel. Keep me filled or set me loose. Hold off the rain. Love is a bell.